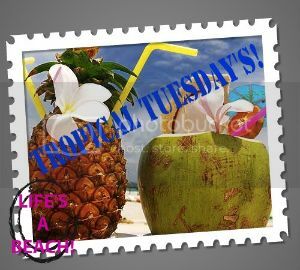 fun Tropical things and get in the mood for warm weather! Is the rain in Boston EVER going to stop?? Ugh - this brightened up my morning...and made me want to paint my nails:) so thanks!! All these places look so fun! And you reminded me that I need to paint my nails, Thanks.